It was on 1991 or 1992 when I was a VIP client in the video arcade near my home, especially to play"that game" with space ships and wonderful graphics, running inside a cabinet making me feel like a real star warrior. The game I am writing about is Starblade produced by Namco. The game is on rail shooter style (the path of the starship is automatic) and the player only have to shoot enemies in a space battle on Star Wars style. The awesome graphics for that year makes this space adventure very exciting. 3D graphics in that years were something very rare and impressive compared to bitmaps used in most of video games. In 1994 was launched a version for Sega CD, but I believe in that year Starblade was not so impressive as it was in 1991. One year before Super Nes launched the classic video game Star Fox which the graphics was similar to Starblade. The gameplay in Sega CD was a problem and to save memory and increase the speed most of the spaceships could not be rendered. So you was there shooting enemies spaceships and out of the blue a fleet of spaceships not rendered (only borders) appears in front of you. An upgraded version was launched in 1996 for Playstation (Starblade Alpha). I never played any of video game versions but as I can see the Playstation version is very improved. You can also emulate Starblade arcade using MAME. 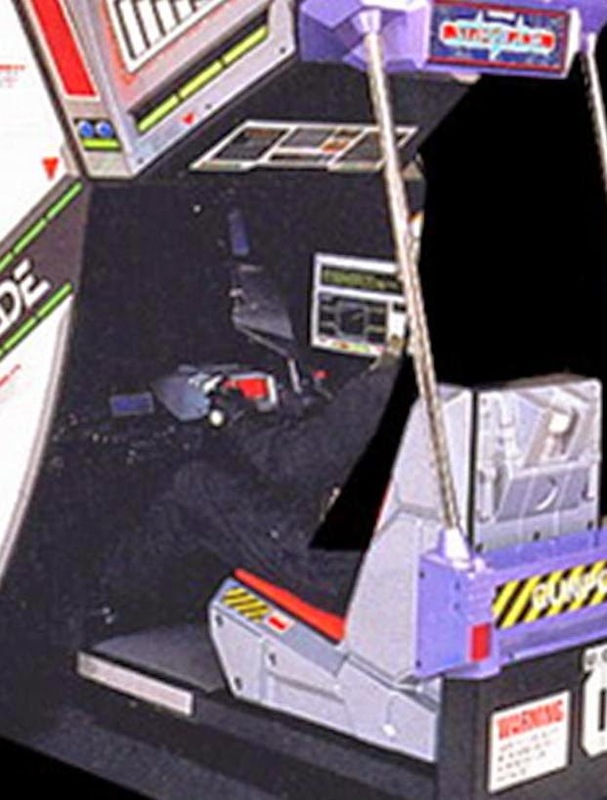 Starblade was definitely one of the top game at video arcades in 1991. Take some time to play it in Playstation or emulated in MAME... if you are lucky enough, find the authentic arcade game to play and have the thrill of a space war in 1991.